After almost 3 years of a flight ban, Russian airlines to resume flying to Cairo as a first step before resuming flights to Red Sea resort cities. 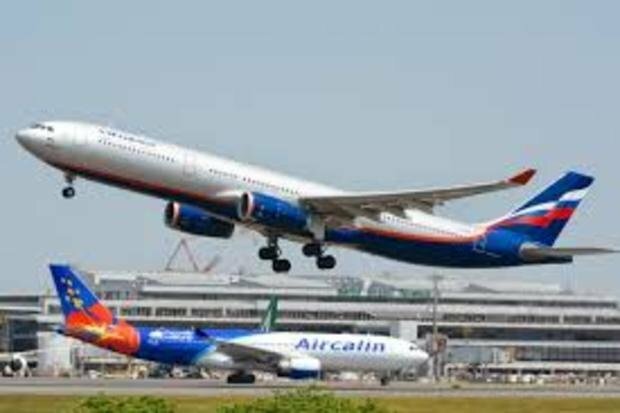 124 passengers arrived in Cairo earlier this week on board of an Aeroflot flight from Moscow announcing the lift of the ban on Russian flights to Egypt. Aeroflot will be flying to and from Cairo 3 days a week and starting mid June until early July the flights will be daily to correspond to the demand. However, Egyptian bodies are waiting for the Russian decision to resume flights to resort cities like Sharm El-Sheikh and Hurghada that are the top destinations for Russian tourists. The resumption of flights is expected to boost tourism revenues that have been suffering for security reasons since 2011 and took a further hit in 2015 with the crash of the Russian flight in Sinai killing more than 200 passengers. In 2014 Egypt had received 3 million Russian tourists while in 2017 they were down to 94,000 coming on Ukrainian and Turkish airlines, reported Al-Ahram. The lift on the ban came after extensive negotiations between the 2 sides and after Egypt increased security at airports that underwent several inspections by the Russian side. Tourism experts estimate a little less than 4 million Russian tourists to arrive in Egypt this year.